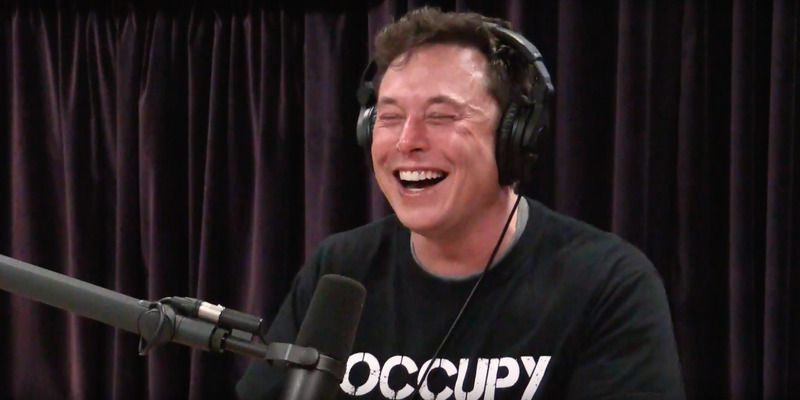 The Joe Rogan Podcast/YouTubeThe Boring Company’s boss, Elon Musk. Elon Musk, the CEO of Tesla and SpaceX, said on Twitter on Sunday that his Boring Company, which aims to lower the cost of building high-speed transit tunnels, had almost completed its first tunnel. The tunnel, started near SpaceX’s headquarters in the Los Angeles suburb of Hawthorne, will open December 10, Musk said. Musk previously said his tunnelling company “started out as a joke” and acknowledged the project might fail. The company has also touted plans to have its systems run high-speed travel between cities. Elon Musk, the CEO of Tesla and SpaceX, tweeted on Sunday that his Boring Company, which aims to lower the cost of building high-speed transit tunnels, had almost completed its first tunnel. The tunnel will open on December 10, Musk said. The Boring Company has said the tunnel will cover about 2 miles beginning near SpaceX’s headquarters in the Los Angeles suburb of Hawthorne. Musk previously said his tunnelling company “started out as a joke” and acknowledged the project might fail. Musk has been relatively tight-lipped about the company’s progress, and he has used several publicity stunts including selling $US500 flamethrowers to fund testing and development of the project. In May, Musk said using the future tunnelling system, dubbed the Loop, would cost as little as $US1 a fare. The company has also touted plans to have its systems run high-speed travel between cities.